Queen Elizabeth attends fashion week, Team USA women's hockey wins gold, a camel caravan delivers aid and more. 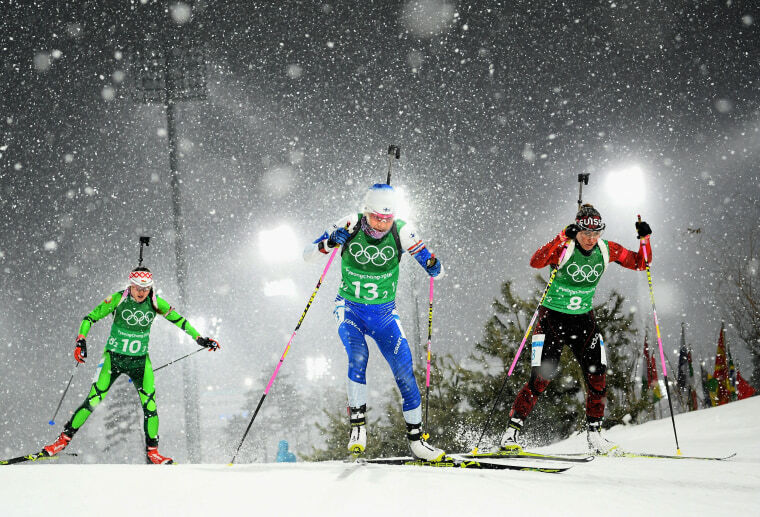 Iryna Kryuko of Belarus, Kaisa Makarainen of Finland and Elisa Gasparin of Switzerland compete during the women's 4x6km relay at the Winter Olympics in PyeongChang, South Korea, on Feb. 22, 2018. Little Miss Flint, also known as Mari Copeny, takes a sip of her soda as she watches a free screening of the "Black Panther" along with more than 150 Flint children after she raised $16,000 to provide free tickets to an entire theater in Flint Township, Michigan, on Feb. 19. Mari also gave away $2,000 in Black Panther toys and comic books at the screening. 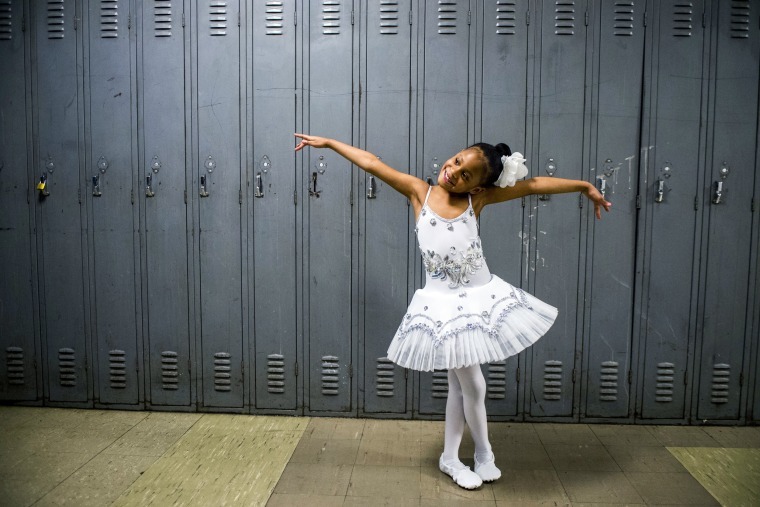 "Kids in Flint always see themselves portrayed in the media as victims. 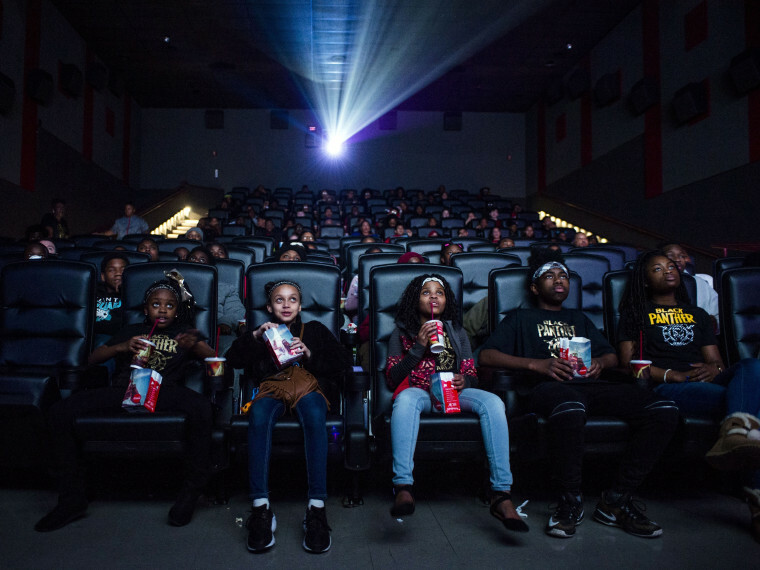 Black Panther gives Flint kids a chance to see themselves represented on the big screen as royalty and heroes," Copeny said. "Black Panther teaches us that we can be whoever you want to be. And that especially goes for Flint kids." Abby Spangler and her daughter Eleanor Spangler Neuchterlein, 16, hold hands as they participate in a "lie-in" supporting gun control reform outside the White House on Feb. 19 in Washington. 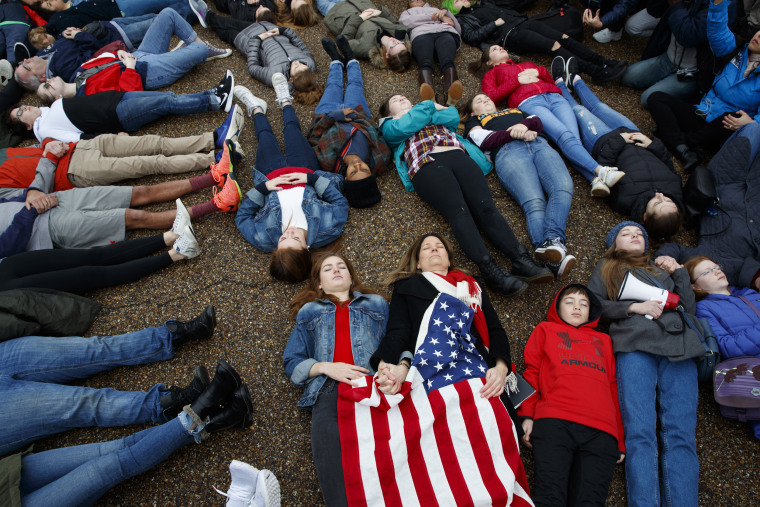 Students are taking hold of the gun debate in the wake of the school shooting in Parkland, Florida, by organizing a series of school walkouts across the country and a march in Washington to protest gun violence. 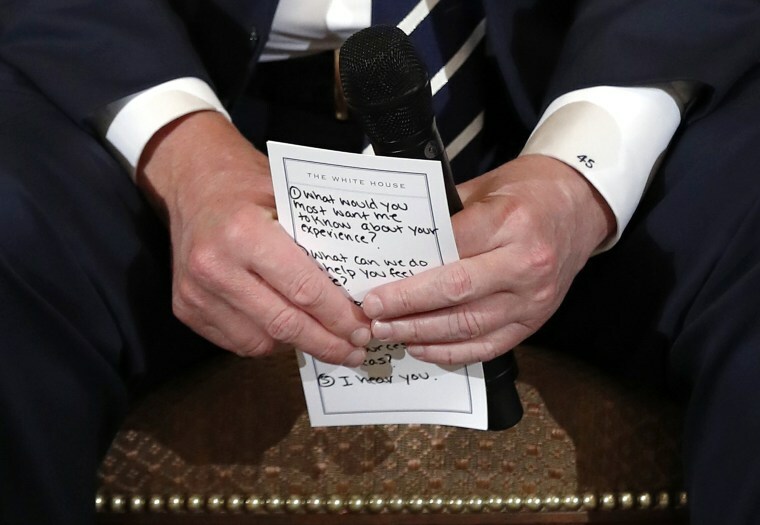 President Donald Trump holds notes during a listening session with high school students and teachers in the State Dining Room of the White House in Washington on Feb. 21. Trump heard the stories of students and parents affected by school shootings. 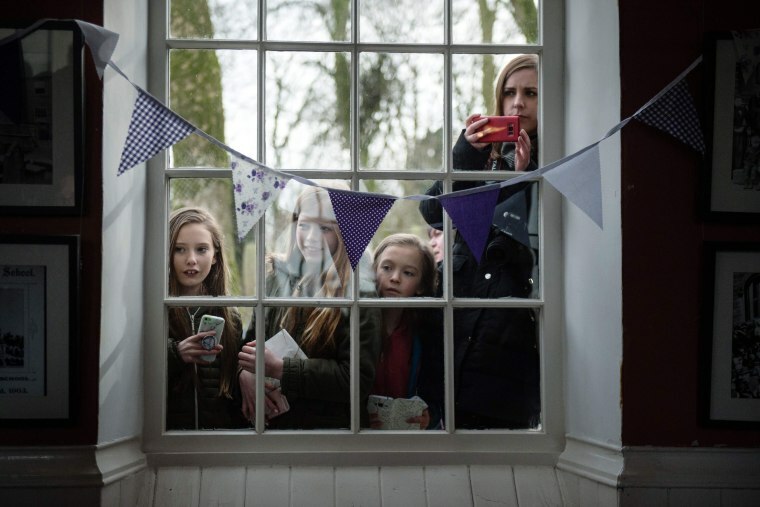 Members of the public watch as Britain's Camilla, Duchess of Cornwall, speaks to students after a visit to mark the bicentenary of the birth of Emily Bronte at the Bronte Parsonage Museum, the former home of the Bronte family, in Haworth, England, on Feb. 16. 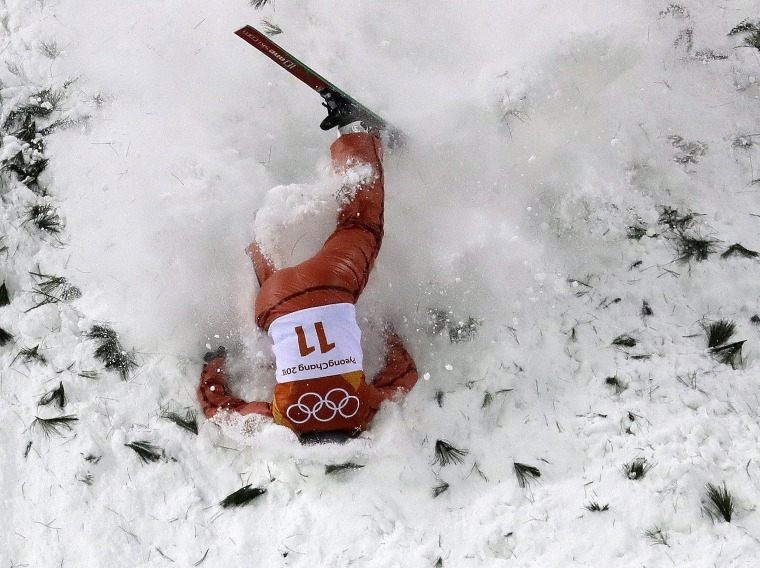 Alla Tsuper of Belarus crashes during the women's freestyle aerial final at the Winter Olympics in Pyeongchang, South Korea, on Feb. 16. 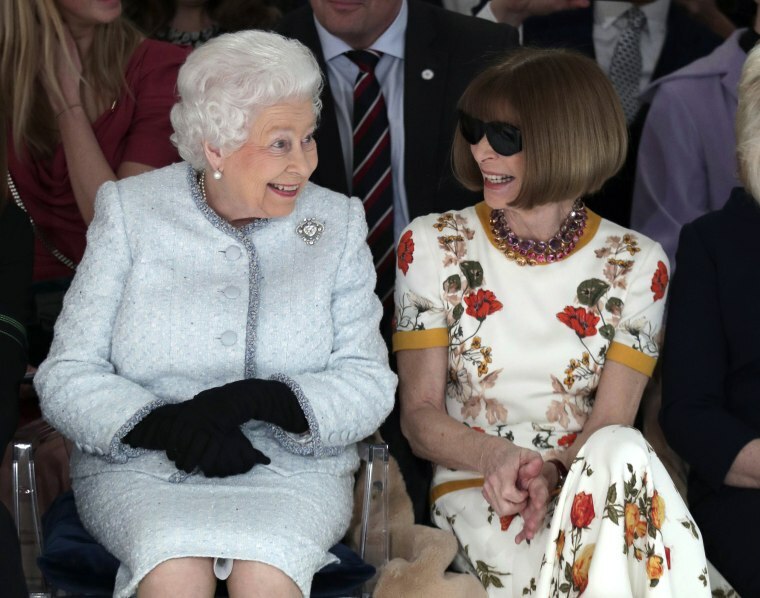 Queen Elizabeth sits next to American Vogue editor Anna Wintour at the Richard Quinn runway on Feb. 20. It was the queen's first visit visit to London Fashion Week. The 91-year-old monarch gave out the first Queen Elizabeth II Award for British Design to London-born Richard Quinn. 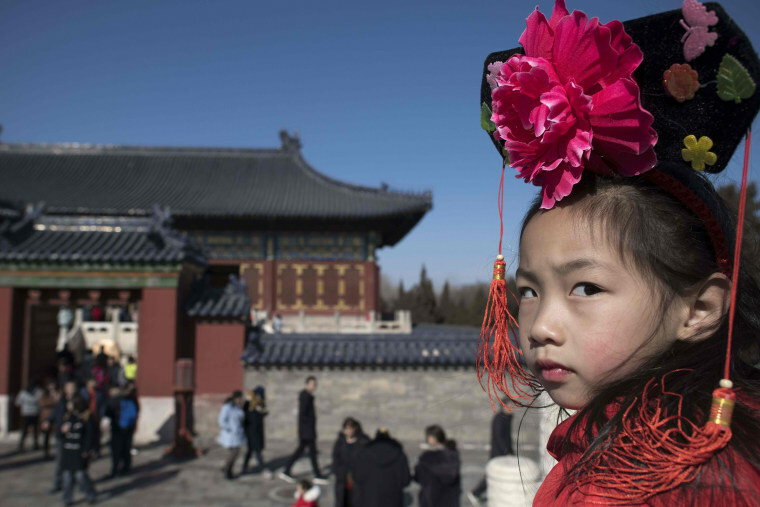 A girl visits the Temple of Heaven during the Lunar New Year holidays in Beijing on Feb. 20. 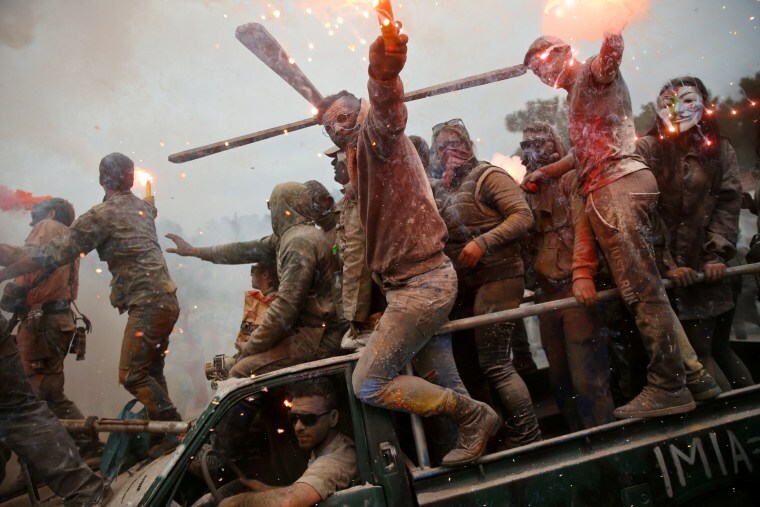 Revelers celebrate "Ash Monday" by participating in a colorful "flour war," a traditional festivity marking the end of the Carnival season and the start of the 40-day Lenten period ending on Orthodox Easter, in the port town of Galaxidi, Greece, on Feb. 19. 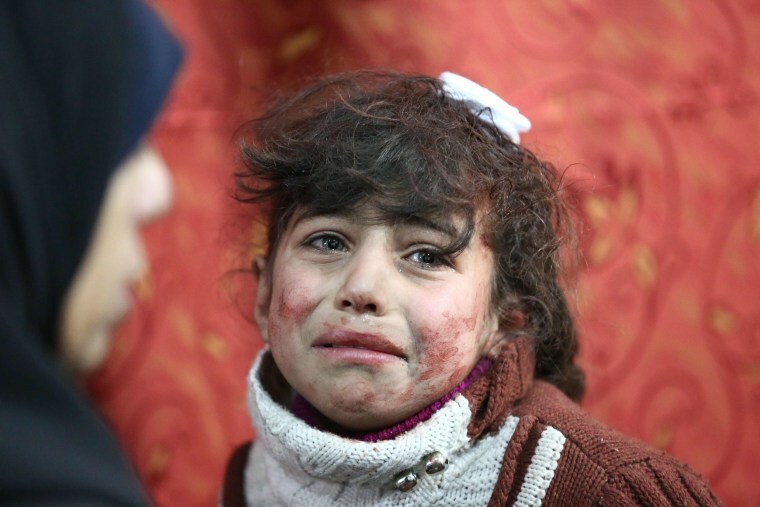 Hala, 9, receives treatment at a makeshift hospital following air strikes on rebel-held town of Saqba, in the besieged eastern Ghouta region on the outskirts of Damascus, Syria, on Feb. 22. 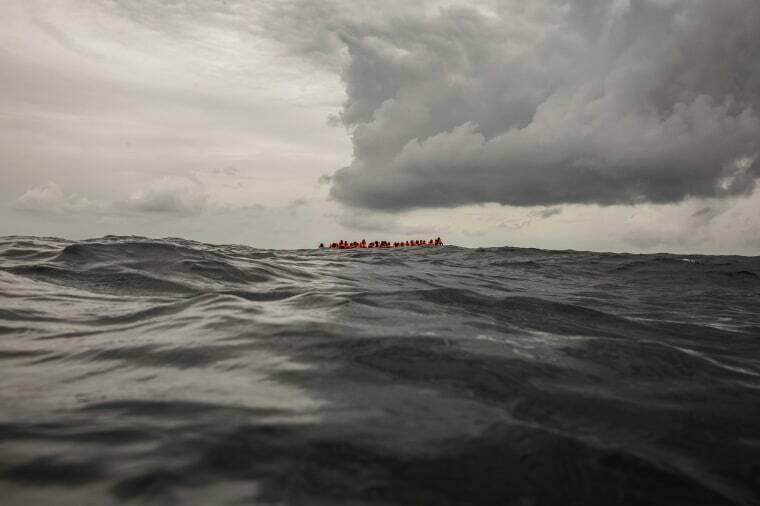 Refugees and migrants wait to be rescued by aid workers after leaving Libya to try to reach Europe aboard an overcrowded rubber boat, 60 miles north of Al-Khums, Libya, on Feb. 18. 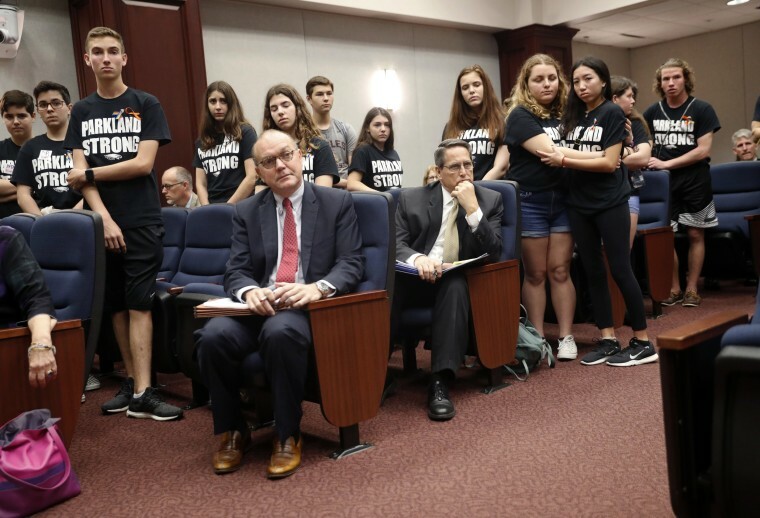 Lobbyists and attorneys listen as student survivors from Marjory Stoneman Douglas High School, where more than a dozen students and faculty were killed in a mass shooting, interrupt a house legislative committee hearing to challenge lawmakers on gun control reform, in Tallahassee, Florida, on Feb. 21. 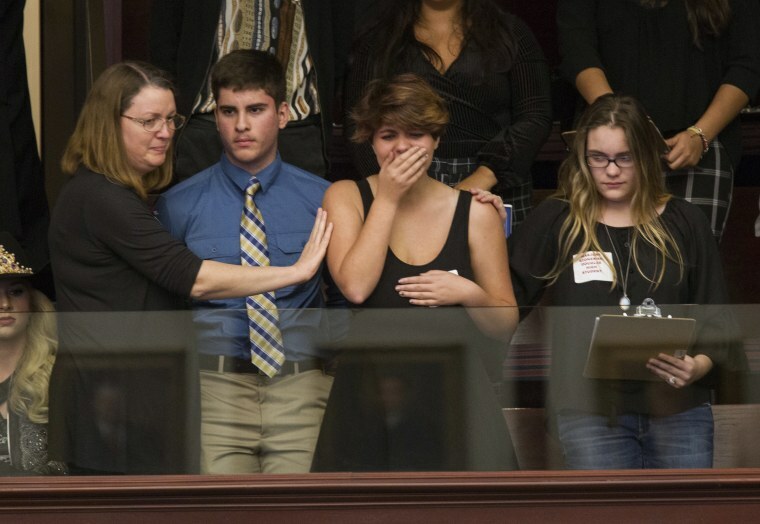 Sheryl Acquarola, a junior at Marjory Stoneman Douglas High School, is overcome with emotion in the east gallery of the House of Representatives after the representatives voted not to hear the bill banning assault rifles and large capacity magazines at the Capitol in Tallahassee, Florida, on Feb. 20. 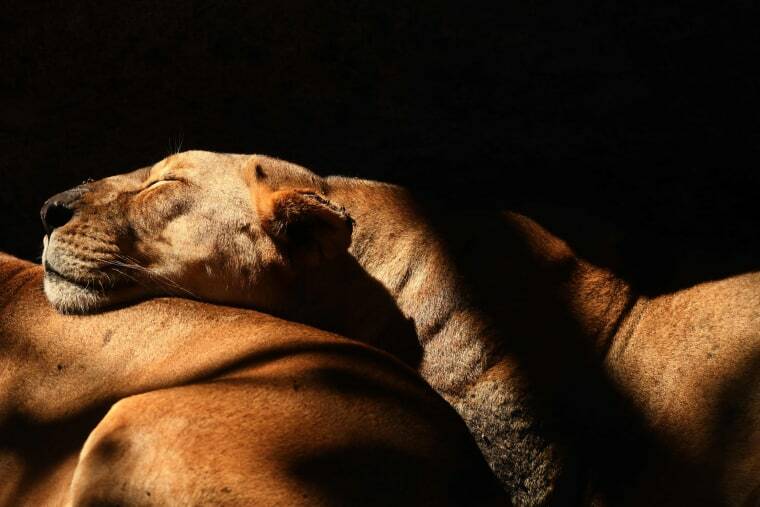 Lions rest at the National Zoo in San Salvador, El Salvador, on Feb. 21. Jocelyne Lamoureux-Davidson celebrates after Team USA defeated Canada in a 3-2 victory that snapped the Americans' 20-year gold medal drought and ended Canada's bid for a fifth straight title in the first shootout in an Olympic women's final on Feb. 22. 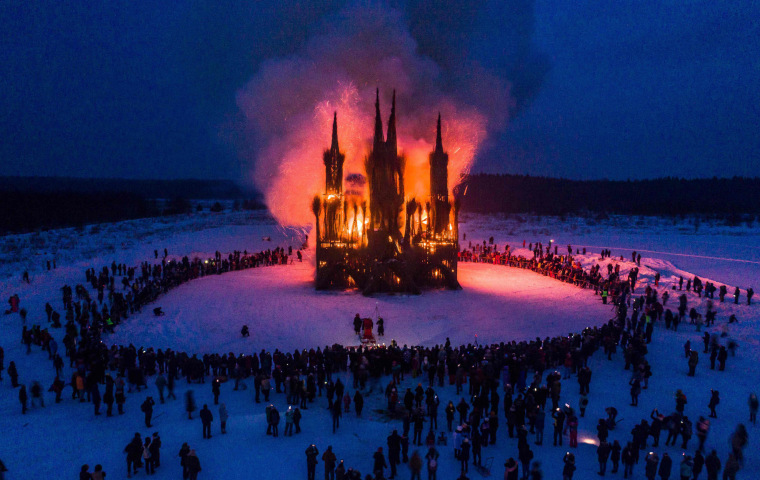 Spectators watch a 30-meter Gothic style structure made of twigs and debris by Russian artist Nikolay Polissky burn during the celebration of Shrovetide in the village of Nikola-Lenivets, Russia, on Feb. 17. The ancient farewell ceremony to winter is traditionally celebrated in Belarus, Russia and Ukraine. 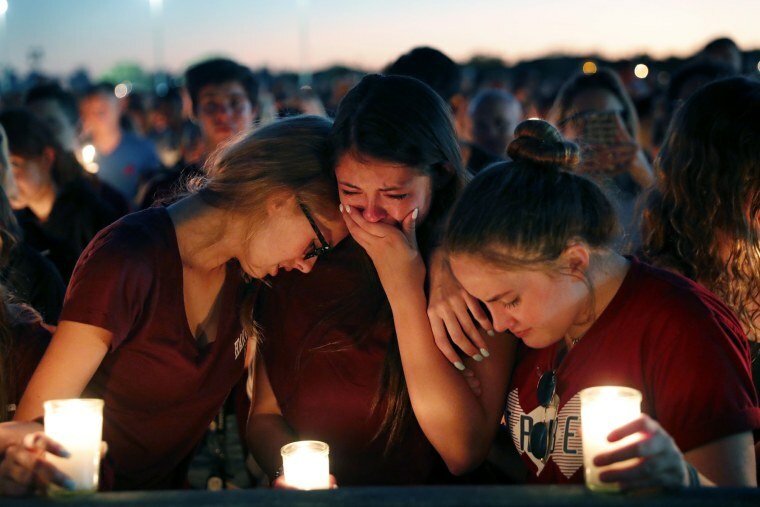 Students console each other during a candlelight vigil for the victims of the shooting at Marjory Stoneman Douglas High School, in Parkland, Fla., on Feb. 15. 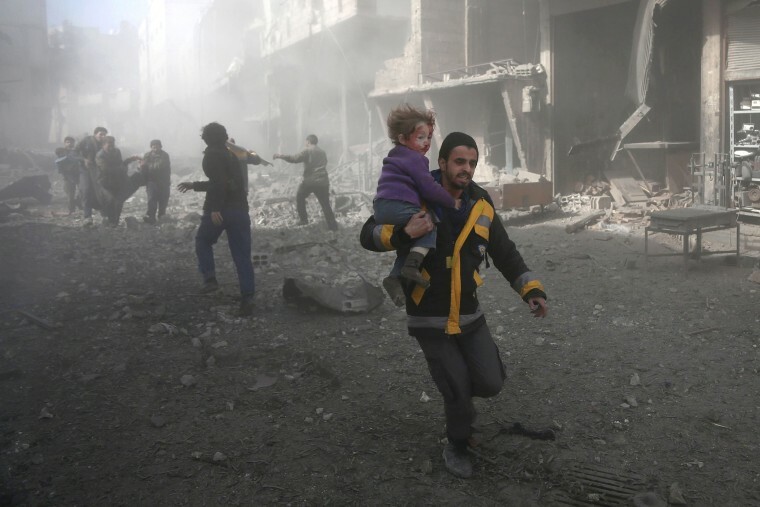 A man carries a child injured in airstrikes in the rebel-held town of Hamouria, in the besieged eastern Ghouta region on the outskirts of Damascus, Syria, on Feb. 19. 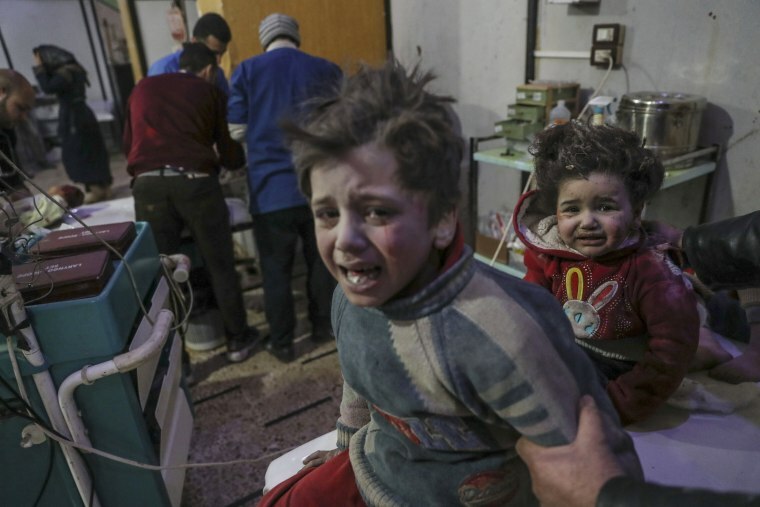 Injured children are treated at a hospital in the rebel-held town of Douma, Syria, on Feb. 19. 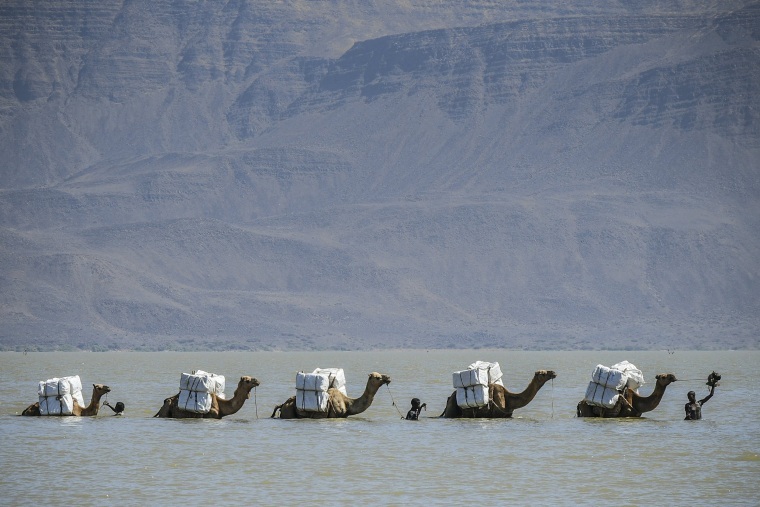 A caravan of camels crosses Gemeri Lake to transport treated mosquito nets to Afambo in the remote Afar region of Ethiopia, on Feb. 14. USAID in cooperation with the Ethiopian government distributed the nets to locals as part of its health program in the country. Afar region is one of the most disadvantaged regions in Ethiopia and is particularly prone to malaria. Mychael Davis, 5, smiles as she spots her teacher down the hallway while rehearsing for her presentation before speaking in front of the Flint Board of Education meeting at Southwestern Classical Academy in Flint, Michigan, on Feb. 21. 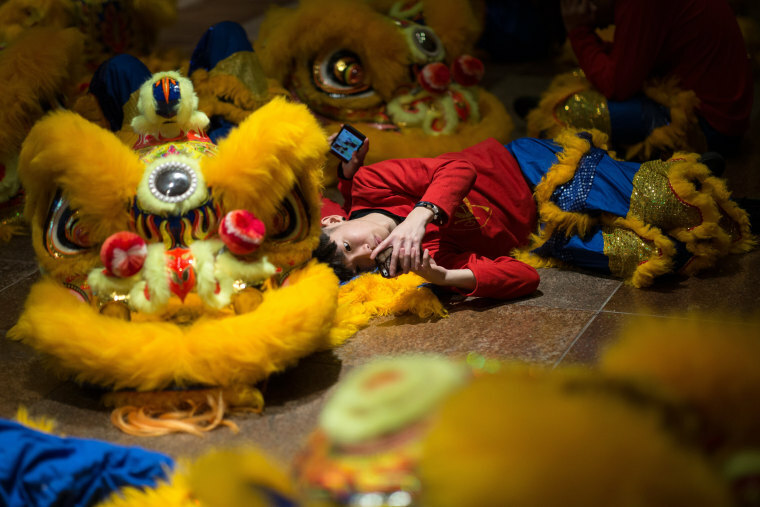 A lion dancer rests before a Lunar New Year parade in Hong Kong on Feb. 16. 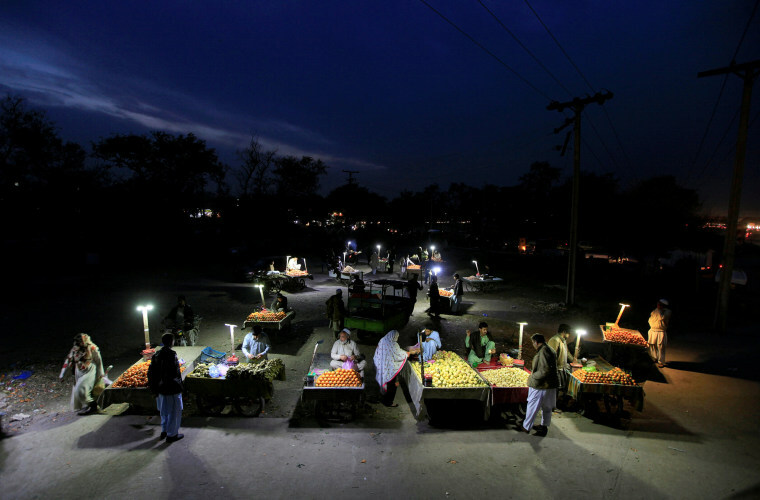 Customers shop at an open air evening fruit market along a road in Rawalpindi, Pakistan, on Feb. 20.